Saoirse stuck her tongue out at David last night. She’d been arguing about taking a shower–first with me (“But I took a bath last night. I took a bath LAST NIGHT!”), then when I didn’t give her the answer she wanted, down to David–and when HE told her to get upstairs, she stuck her tongue out as soon as his back was turned (rookie move, Dave: don’t you know? NEVER TURN YOUR BACK ON THE ENEMY). Then she lied and told me that she wasn’t sticking out her tongue, or didn’t mean to, or it accidentally fell out of her mouth while she was trying to proclaim her endless devotion to and respect for us–something like that. Either way, it sucked, and she was disciplined: I told her she couldn’t go to her school’s Hallweeen party today, but then a] I realized it was a school thing, and she sort of had to go to school, and b] Dave was all quietly saying, “Really, THAT? You had to go with that? !”, so now she gets to go play with her friends and eat sweets and have adventures –I’m not liking this message here, either–but is forbidden desserts or any other fun treats for a week. I’m disappointed. It had been a horrendous, awful, life-energy-draining few hours. You know how one misstep will happen with your child, and you just watch the rest of it spiral down from there? It was one of those nights. You know what I’m talking about. SK, for all of her sweet, sensitive, loving ways, is stubborn, persistent, and way more grown-up in how she handles disagreements than a five-year-old should be (I don’t mean that as a compliment. Think about the last time you got into a big argument with your spouse, and I will guarantee somebody was talking way more than she should, possibly with tears/raised voices/wails of hopeless despair. No? Well, at the very least, one of you was pouting and shouting that “That’s no fair you promised you never want me to EVER have any fun!” Wait. No, that can’t be right, either. But you get where I’m going with this. I hope. 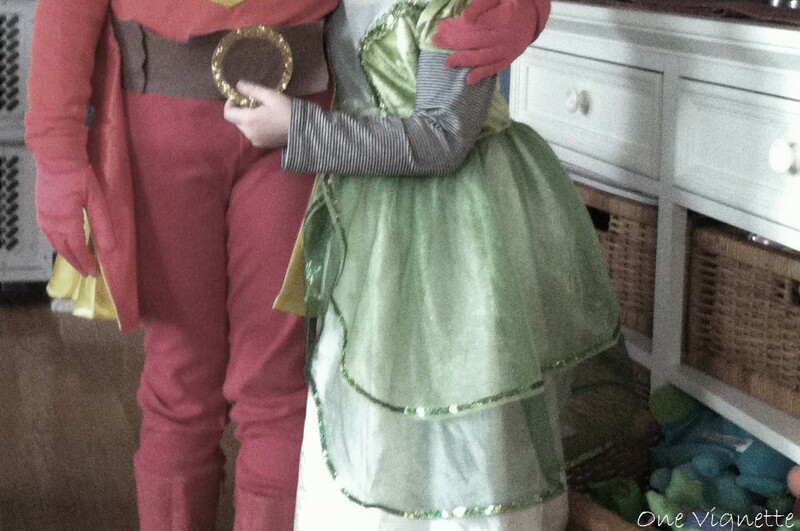 So, anyway, Saoirse’s at school right now, thrilled to be wearing her Word Girl costume, off scot-free, for now. She’s five. She’s only five. But she’s a smart five, and a sneaky five, and a five who will one day be fifteen. And if we mess up now, what happens then? Because this is one incident of a thousand. What’s too easy? What’s too hard? What will stick, and what–good or bad–will be forgotten? Quick, somebody find me a witch’s hat. This mama’s gonna need some magic pretty soon.